Our Complete Intolerance Test provides you with the largest range of results to help diagnose symptoms effectively. The blood analysis includes: Gluten, Wheat, Oat, Cream, Peanut, Egg White, Egg Yolk, Rice, Garlic, Onion, Banana, Cod, Salmon, Duck, Pork, Lamb, Chicken, Cheese, Coffee and several Milks. A full list of the 160 food items can be found in the details box further down. 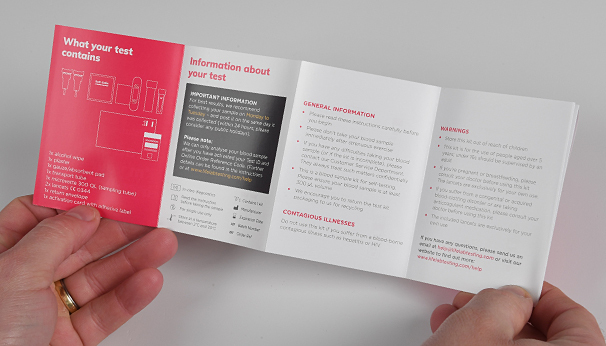 Using the latest diagnostic technology, the Complete Intolerance Test is our largest intolerance kit, examining your blood sample against 160 common food items like: seeds, herbs, vegetables, fruits, meats, dairy products, seafood, nuts, and gluten. For the full list, please select the ‘Items We Test For’ tab. Then the Complete Intolerance Kit will help you understand your body’s tolerance to key foods consumed in your daily diet. These easy-to-administer kits are available for personal use and we provide a step-by-step video guide allowing you to conduct the test on yourself in the comfort of your own home. You’ll also receive a freepost envelope to return your sample to us with ease, which we will then test, and provide you the results within 7 working days. 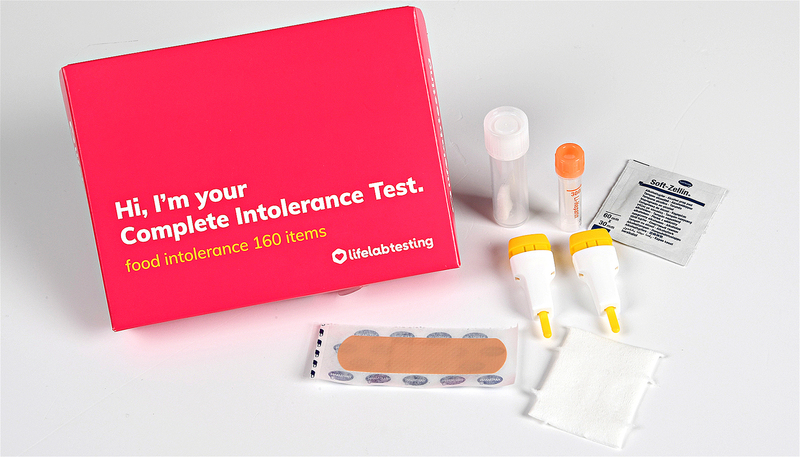 Lifelab’s Complete Intolerance Test identifies immune-mediated intolerances, which produce IgG4 antibodies. It is our broadest spectrum test giving you the optimum opportunity of discovering the causes of your digestive symptoms. 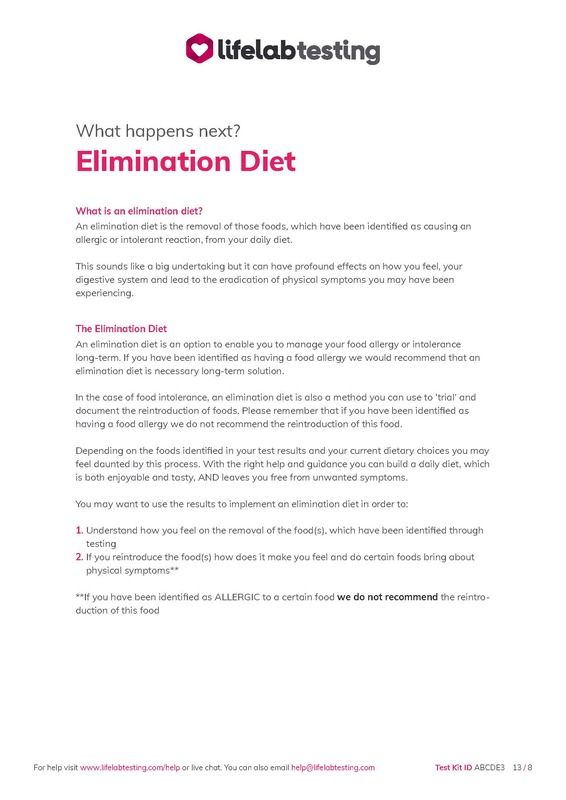 Our comprehensive report then explains your results and gives nutritional therapist certified advice for you to follow and feel healthier including how to complete an elimination diet and substitute foods. 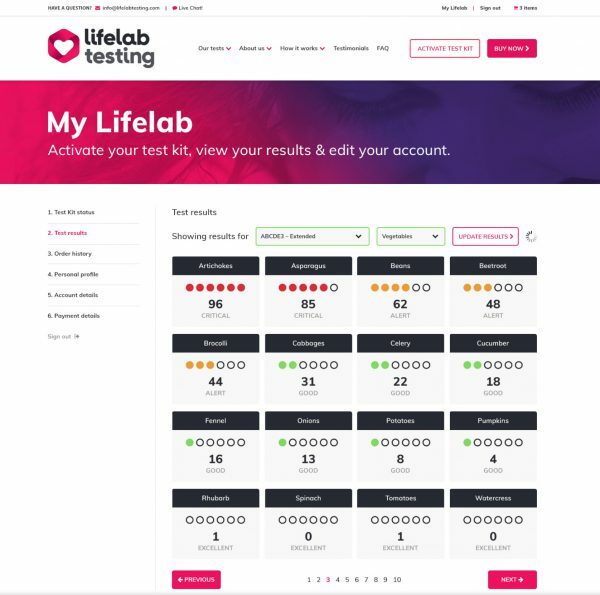 Lifelab Testing is proud to have a customer service team available 24-hours a day, Monday to Friday. We can help you with any questions you may have regarding the purchase process, your results, and can refer you to our nutritional therapist for further advice if necessary. 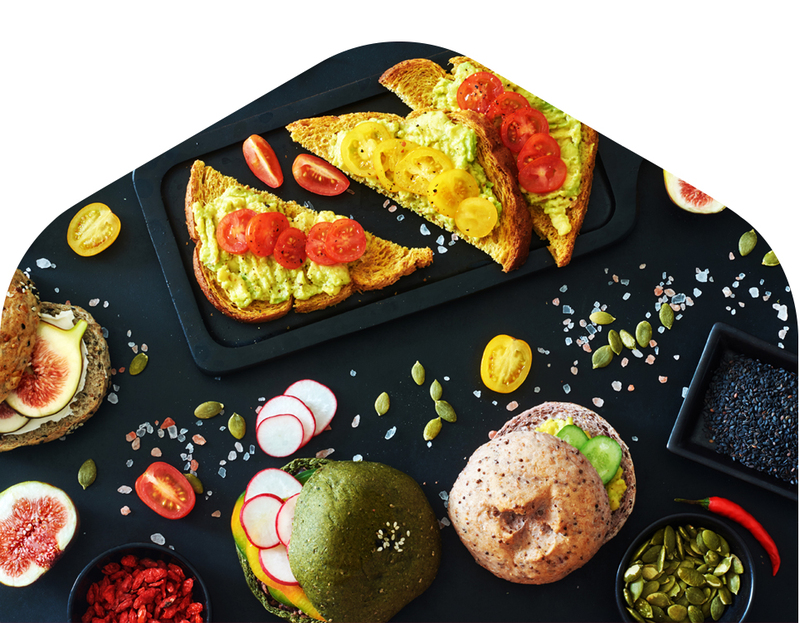 Expert Nutritional Therapist Advice: On receipt of your test results we offer you one 30-minute consultation with one of our nutritional therapists. You can use this support to help you implement your test results into your diet and lifestyle. With professional advice you can build a daily diet that is enjoyable, sustainable and nutritious. Why take a Complete Intolerance Test? Intolerance testing allows you to understand whether physical symptoms you’ve been experiencing could be linked to the foods you are eating. Your results, which will be available to you in just a few days, give you the vital information you require to start making changes and feeling better. No need for appointments or waiting weeks for results. Using the Lifelab service you can complete your test, check the progress of your test, review your results and download your results report, all from the comfort of your own home.